Running is a fun activity that can be done anywhere and anytime. It can reduce the risk of serious illnesses such as stroke, heart disease or type 2 diabetes. Running enhances your mood, helps get rid of excessive adrenalin and it’s a great way to stay in shape. 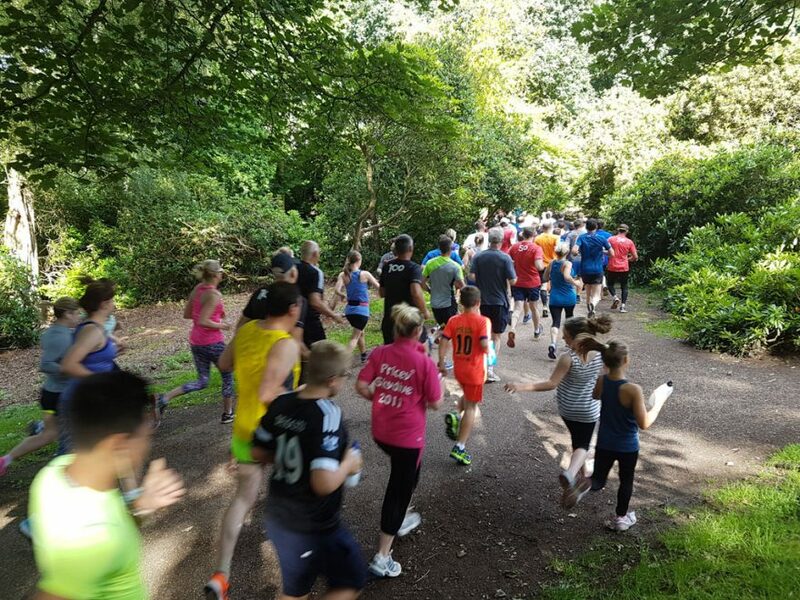 There’s many different levels to compete at, beginners groups, parkrun on Saturday morning, charity runs, long or short distances from sprints to marathons. It’s not expensive, all you need is a pair of trainers that provide support where you need it; a well fitting pair of trainers will help to prevent injury. 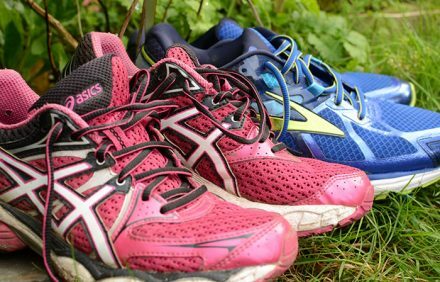 We recommend visiting a specialist shop such as Sportlink (behind Taverham Garden Centre) who can provide “first class and professional advice, video gait analysis and biomechanical assessments for runners whilst helping you choose the right equipment for your individual and specific needs”. Running is a great way to exercise because it can be done at your own pace and speed, gradually increasing the distance as your confidence grows! The ‘Couch to 5k’ NHS nine week training program is a good place to start if you want to improve your health and fitness levels by taking up running. Norfolk is a great place to run for leisure or to take part in one of the many road race fixtures planned each year. The NHS ‘Livewell’ fitness website has a handy ‘find a race near you’ link with almost all the races here in Norfolk and across the UK – just type in your postcode. 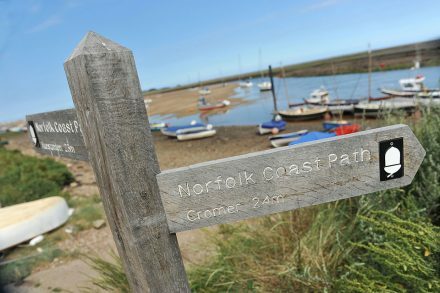 On the north Norfolk coast there’s the Norfolk Coast Path from Hunstanton to Cromer which is 150 kilometres long. The route offers runners a challenging course along cliff tops with the sea on one side and glorious countryside on the other. Highlights include running along the Royal Cromer Golf Course towards Overstrand, the pine woods found along the coast at Holkham, the sea view from Beeston Bump and the bustling harbour at Wells-next-the-Sea. Be aware of coastal erosion and please take great care when running along steep cliffs with sharp drops. Away from the coast there are lots of country roads, tracks, and trails to run. 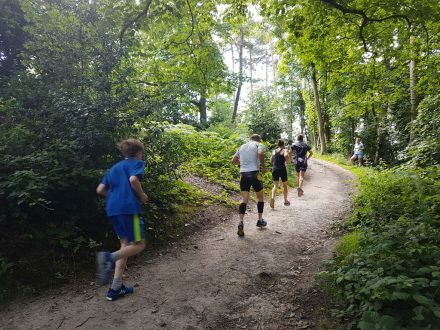 Many routes are through quaint Norfolk villages and country parks such as Thetford Forest and Sheringham Park (National Trust property, and parkrun venue). Norfolk is home to many beautiful country houses with lots of land: Blickling Hall (National Trust property and home to Blickling parkrun), Felbrigg Hall (National Trust property) and Holkham Hall (private residence of the 8th Earl of Leicester and home to Holkham parkrun). 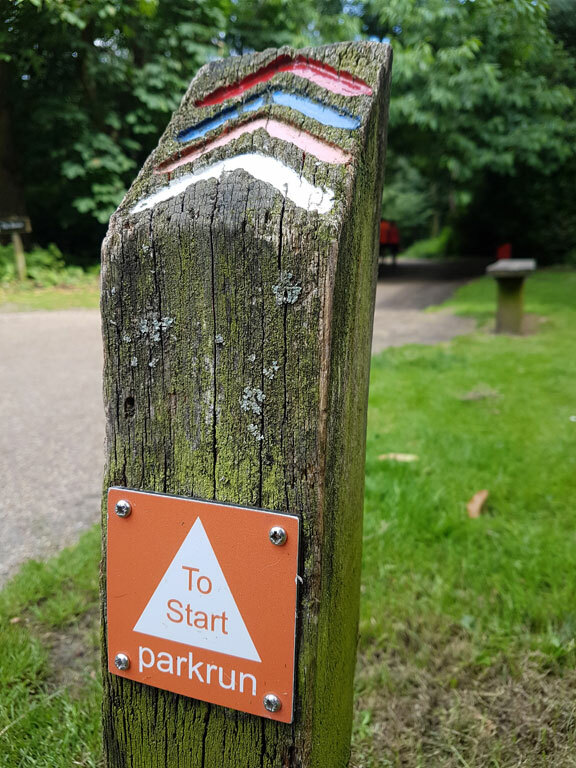 There are many country parks run by the local district councils that offer runners new and interesting routes. 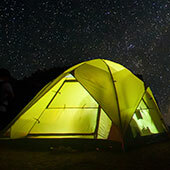 These include Holt Country Park, Whitlingham Park (south east of Norwich, near Trowse), Sadler’s Wood (near Bacton and North Walsham) and Pretty Corner positioned 300ft above sea level (located at the Roman Camp between East Runton and Cromer). 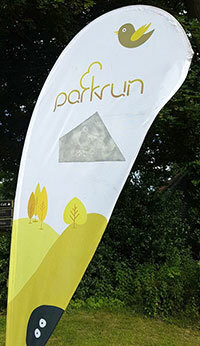 parkrun organise free, safe, timed 5k runs on a Saturday morning and 2k runs for children aged 4 to 14 on Sunday mornings. Their aim is to have an event in every community that wants one. These events are open to all and you’re encouraged to take part whether you’re a first timer or a pro. There’s no pressure to race; you can walk, run or jog around the 5k course at your own pace. It’s you against the clock! You must register to get a unique bar code and remember to bring it with you, otherwise you won’t get a time – no barcode, no time! The results are usually emailed to you a couple of hours after the event including your finish position, time and age grading. Additionally, you can sign in to the parkrun website and watch your progress each week via your own parkrun website results page. During the 5k events children under 11 years old must run with an adult. For children who want to run independently, junior parkrun is a shorter distance at 2k and is for children aged from 4 to 14.
parkrun was founded in 2004, the first run was held at Bushy Park, Teddington with only 13 runners taking part and 4 volunteers! Today it’s a highly successful international movement with more than two million participants (and growing); parkrun hosts 960 events across 14 countries every weekend from Russia to Singapore, South Africa to Denmark. Gorleston at Lower Esplanade, Gorleston-on-sea, Great Yarmouth, Norfolk NR31 6BTP Facebook Sunday 9am. Founded April 2016. Norwich at Eaton Park, South Park Avenue, Norwich, NR4 7AZ Facebook Page Sunday 9am. Founded March 2015. There are 960 adult 5K parkrun events across the world, each one is organised entirely by volunteers. Every event requires volunteers to ensure it runs smoothly. There are lots of different roles that need to be filled for each parkrun, there are people needed to scan barcodes at the finish, marshals positioned along the course, a timekeeper and backup time keeper! Plus a tail runner, a run director, results co-ordinator and a volunteer needed to co-ordinate the volunteers to ensure each event has enough support to operate smoothly and safely. parkrun couldn’t happen without volunteers offering their support each week. Blickling at Blickling Park (National Trust), Blickling, Aylsham, Norwich, NR11 6NF Facebook Page. Founded in November 2013. 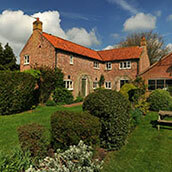 Brundall at Countryside Park, Postwick Lane, Brundall, Norfolk, NR13 5RF Facebook Page. Founded May 2015. 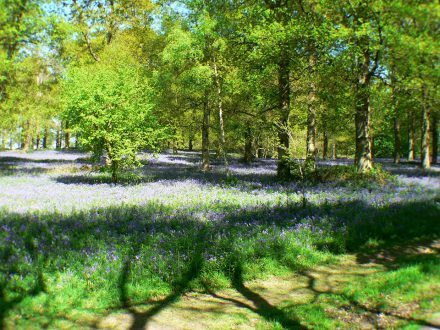 Catton at Catton Park, Oak Lane, Norwich, Norfolk, NR6 7DB. Facebook Page. Founded October 2013. Fritton Lake at Fritton Lake Country Park, Church Lane, Fritton, Great Yarmouth NR31 9HA Facebook Page. 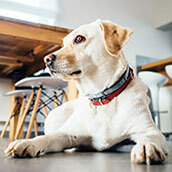 Founded May 2012. Holkham at Holkham Hall, Wells-next-the-Sea, Norfolk, NR23 1AB Facebook Page. Founded December 2015. King’s Lynn at The Walks, King’s Lynn, Norfolk, PE30 5QX Facebook Page. Founded September 2011. Mulbarton at The Common, Mulbarton, Norfolk, NR14 8AE. Facebook Page. Founded March 2013. Norwich at Eaton Park, South Park Avenue, Norwich, NR4 7AZ. Facebook Page. Founded in August 2010. Thetford at Abbey Meadows, Thetford, Norfolk, IP24 1BB Facebook Page. 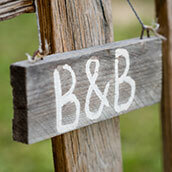 Founded January 2013. Joining a running club is the next step for those that want to increase running stamina and speed. It’s a great way to make friends with other keen runners and can help to further improve fitness levels and motivation. Some of the running clubs listed below have junior groups too; please check their website for more information. Reepham Runners, Stimpsons Piece, Bartle Court, Reepham NR10 4LL. North Norfolk Harriers, Gresham’s School Cromer Road, Holt NR25 6EA, running coaching for children of any age. Active Norfolk is a partnership of organisations across Norfolk that provides sports information to people who want to take part in physical activity, sports event organisers, their supporters and the media. Their mission is to support Norfolk to make it a healthy, active and successful sporting county. Active Norfolk works in partnership to harness the power of sport and physical activity to improve lives in Norfolk. Active Norfolk promotes a database of classes, sessions and clubs to help you get more active. Look up everything from abseiling to cheerleading, running to karate; there’s a huge selection of sporting activities to take part in – and Active Norfolk’s aim is to help you to get started!